Dozens of Indonesian mosques that cater to government workers are spreading radicalism and calling for violence against non-Muslims, the country’s intelligence agency said Monday. Its findings come six months after Indonesia’s second-biggest city Surabaya was rocked by a wave of suicide bombings at several churches during Sunday services, killing a dozen people. They were the deadliest terror attacks in about a decade and once again put religious tolerance in the world’s biggest Muslim majority in the spotlight. The Indonesian State Intelligence Agency said Monday it has probed about one thousand mosques across the Southeast Asian archipelago since July and found that imams at some 41 places of worship in one Jakarta neighbourhood alone were preaching extremism to worshippers — mostly civil servants who work at nearby government ministries. The Agency found about 17 clerics expressed support or sympathy for Islamic State and encouraged parishioners to fight for the jihadist group in Syria and Marawi, the Philippine city overrun by foreign IS fighters last year. Some clerics also called on the faithful to commit violence on behalf of IS — which claimed the May bombing attacks in Surabaya — and spread hatred or vilify Indonesia’s minority religions, which include Christianity, Buddhism and Hinduism. 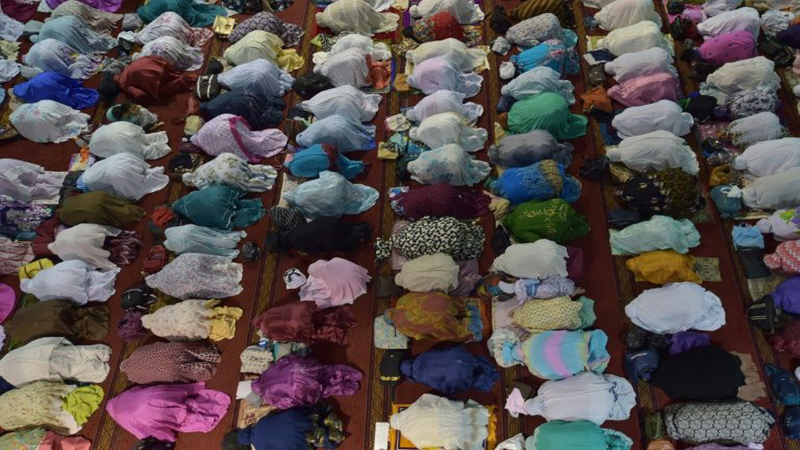 “The majority of people who go to these mosques are government workers so that’s why this is alarming,” intelligence agency spokesman Wawan Purwanto told AFP. The agency did not release details about what it found at hundreds of other mosques covered by its probe. But it said that it also found worrying signs of radicalism at seven university campuses among several hundred it spot checked as part of the probe. The spy agency’s investigation was sparked by an independent anti-terrorism expert’s report last year that found imams at dozens of mosques across Indonesia were expressing intolerance and support for IS. “We have to avoid this because we don’t want people in Indonesia fighting against each other — that will lead to (bad) things,” Purwanto said. Indonesia has beefed up its anti-terror law to give authorities more power to arrest suspects in the wake of the Surabaya attacks. But Purwanto said the agency would take a soft approach to dealing with radical imams by trying to convince them to spread a more peaceful message. Jakarta-based terrorism expert Sidney Jones said the agency should go beyond just talking with clerics about their sermons. “Generally it’s not enough to talk to the preacher — you have to get to the mosque development committee and look at (who is behind) the financing,” she said.